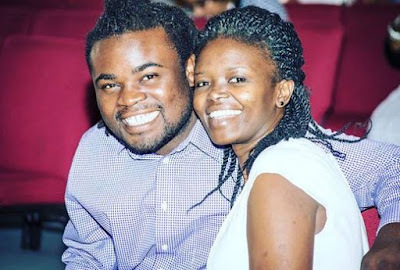 Why Kenya Gospel singer Eunice Njeri wedding to Isaac Bukasa ended! Fans are still trying to get over the shock of Eunice Njeri wedding to rapper Isaac Bukasa that ended just hours after the couple took their vows.Her explanation for this was that her heart was somewhere else! 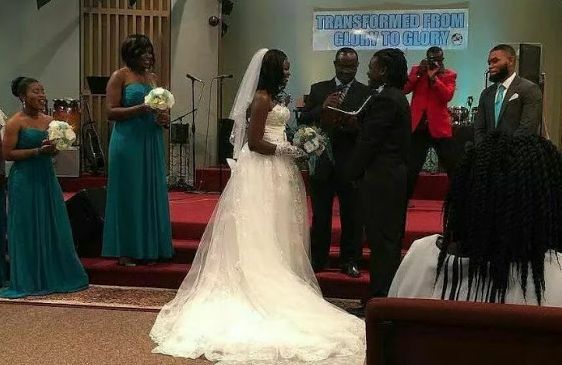 The couple got married on the 27th of November, 2016 in the United States and photos of the ceremony were shared online by their family and friends. what could have prompted her ending her marriage barely hours later? “Probably in Africa doing what I do best, am still trying to figure that out. I immediately left for Kenya and have been serving God the best way I know how. “To all who supported Isaac and i am grateful may God bless you immensely. To all who were hurt in the process I apologize. The marriage was annulled (like it never happened). No papers were signed. “Afterwards and we both made a decision to go our separate ways. I hope for your support and help as we move on. Like every other relationship we hit a rock, maybe a little too early but have since overcome. Now you can look at this mess in 2 ways.Either say she was brave and ended it before she committed herself to a long term of unhappiness.On the other hand you could say,being a christian,should she have put her self in a situation where she is caught up between two men? Well,i guess we are at times faced with hard decisions that we run away from.In a funny way i respect her for taking this bold step,because a lot of people will be too embarrassed to. I wish them both happiness in the future.